Delevering a quality based industry focused and realtime workshops and boot-up camps.We work with the students and researchers to help achieve their experimental and research goals through consultation, design and implementation. 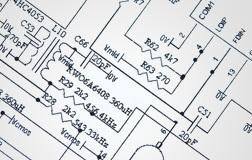 Independently design and analyse simple to moderately complex analog circuits. Electronic design automation (EDA) is a category of software tools for designing electronic systems as integrated circuits. The tools work together in a design flow that chip designers use to design and analyze entire semiconductor chips. Tanner EDA delivers a mixture of features, functionality and capability to designers of analog and mixed signal. Tanner Tools is used by companies such as Phillips, Catalyst Semiconductor, Flir, Honeywell, Jet Propulsion Laboratory, NEC, Ricoh Company Ltd., Sarnoff Corporation, and Xerox Corporation. Some of the products designed with Tanner EDA tools include imaging technology for the Mars Rover, components for Bluetooth peripherals and thermal management sensors for cell phones and notebook PCs. Tanner EDA tools provide a low learning curve, high interoperability, and a powerful user interface to improve productivity and enable a low cost. Recent versions of Tanner EDA tools available are 13, 14, and 15. For this workshop, version 14 will be used. As electronic design shifts from discrete components to integrated circuits on silicon, there is a need for students of electronics to be conversant with tools that are required for IC design. Integrated circuits are either digital or analog or a mixture of the two. Since the interface to the real world is always through analog electronics, there will always be demand for skilled analog electronic designers. Proficiency in the analog circuit simulator SPICE is essential for analog circuit designers. This course is designed as a beginner's course in analog circuit theory and design. For the Students of B.E., M.Tech., B.Sc. and M.Sc. (Electronics), and research scholars. At the end of this course, participants will be able to independently design and analyse simple to moderately complex analog circuits such as amplifiers, filters, oscillators, mixers. Minimum duration 2 days (full time) with 2 hours theory and 4 hours of practical work every day. For a batch of minimum 20 participants, the course fee is Rs. 600 per participant, inclusive of study material. Knowledge of electronic circuit network analysis (NA) and electronic devices and circuits (EDC) is preferable. The vast majority of electronic systems deployed today are integrated digital circuits. These circuits operate on the principal of binary (ON/OFF) signals and offer greatly improved noise immunity to their analog counterparts. 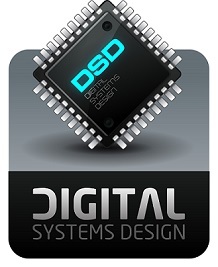 Digital IC design is carried out through EDA (electronic design automation) tools. Circuits are described using the VHDL or verilog hardware description language. Circuit performance is verified using digital circuit simulation software such as Modelsim. Students of polytechnic, BE, M.Tech., B.Sc., and research scholars. Participants will become conversant with digital circuit / system design using the VHDL language and will be able to verify their designs using the Modelsim simulator. Minimum duration 3 days (full time) with 2 hours of theory and 4 hours of practical work every day. Minimum batch size 20 participants. Rs. 750 per participant. Basic understanding of Boolean algebra and logic gates. 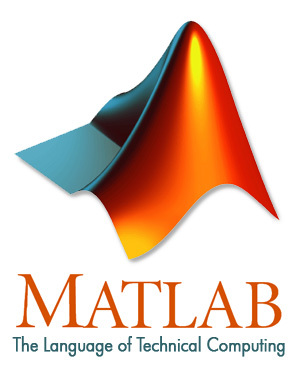 MATLAB is a high performance language for technical computing. It integrates tools for computation, visualization, and programming in a single environment. This makes it an excellent tool for teaching and research. MATLAB is an interactive system whose basic data element is the array. The software package has been available since 1984. It is now considered a standard tool for research in academia as well as industry. MATLAB has powerful built-in routines that enable a wide variety of computations. It also has easy to use graphics commands so that results may be visualized immediately. Specific applications related to a particular domain are bundled together and made available as toolboxes. There are toolboxes for signal processing, symbolic computation, control theory, optimization, and various other fields of applied science and engineering. MATLAB is an essential tool for the design, modelling and mathematical analysis of a wide variety of applications from circuit design, to financial analysis, signal processing, aerospace, and many others. It is an easy to use, integrated development environment with its own interpreted language. Familiarity with MATLAB is essential for all research related data analysis. This short workshop on MATLAB for beginners takes the participants hands on through the capabilities of MATLAB. UG and PG students of science and engineering and research scholars. Participants will become conversant with the syntax of the MATLAB programming language and will be able to use various plot functions to display data graphically. Minimum duration 1 day (full time) with 2 hours of theory and 4 hours of practical work. Rs. 500 per person. Minimum batch size 20 participants. © 2016 Nass Technologies INC. All rights reserved.